We have the “seemingly mundane” animals—sheep, cows, pigeons—that we take for granted. Of course, they are each astounding in their own right. But God’s creation has plenty of examples of the crazy, funny, complicated, and astounding to make us wonder. Can we really look at a giraffe and say “oh yes, a long neck—it was just inevitable that evolution would produce that”, when we consider the engineering that must go into such an unusual design? Here are a few things that make me say “wow”. They are unusual and improbable, extreme and crazy. Do you have any favourites on your own list? Please leave a comment! I always feel that way about the striking colors and markings on some animals, especially birds but also fish, some so insanely beautiful. The quail's topknot, the peacock's plumage, oh any bird's plumage really, they're all so precise. And the tiger's striping and the raccoon's mask -- the very symmetrical precise markings. They seem to be purely decorative, sheer exuberant creativity, outside any evolutionary necessity or usefulness. Also the complex mating dances the birds do. Those are interesting examples. I wonder how much genetic information is devoted to making those markings, both forming the patterns and creating the chemicals or iridescence for the colours. And how much genetic information is devoted to enabling a peacock to raise its tail in its display? Peacock plumage sure doesn't seem like a good example of "the competitive pressures that drive evolution", but zany exuberance as you say! I know the evolutionists try to explain these things in terms of Sexual Selection (Darwin wrote about it) or the need for the creature to identify its own kin and distinguish from others, but still, why the symmetry and the beauty in that case? In nature it is not symmetry that is difficult to achieve but asymmetry. However I won't disagree with your appreciation of the beauty in nature. But lets not gloss over the barbarity and suffering that is ubiquitous in nature. The tiger may look beautiful but with every meal it kills another animal, literally eats it alive. It makes best use of its physiology and anatomy designed for hunting and killing prey. I assume your argument is that a loving God wouldn't create suffering. A significant theological question, I agree, and not one that the Bible overlooks. While young-earth creationists insist there was no animal death prior to the first sin, not all creationists would agree, myself included. Interesting question. Symmetry and beauty are both interesting things to ponder in relation to the creation/evolution question. Another thought about sexual selection... Sexual selection seems strange to me, for one reason in particular: the "selector" (e.g. a female bird) and the "selectee" (the exceedingly flamboyantly decorated male) are both members of the same genetic population. It makes sense for natural selection to be imposed by the environment (so the population is changing in reaction to the environment), but not to be internally imposed (the population is changing in reaction to... itself?). What good reason is there for females to select ever more colourful males, if colourful males are more prone to being caught by predators? Rather, I'd expect natural selection to favour the females choosing well-camouflaged males that better evade capture by predators. So I don't buy the idea that sexual selection explains brightly-coloured birds such as peacocks. Actually, I do look at such things and basically say it was inevitable. The fact of the matter is that evolution doesn't operate by "engineering" anything... it's basically trial and error. The world is filled with niches, and evolution operates by having tiny and mostly incremental changes (almost always tiny... but since the changes are made in the genes, not in the physical animal, they infrequently turn out to be huge changes, physically speaking). If you could look at what came before the current giraffe, you'd see things that look similar, but with slightly shorter necks, or whatever. Go further back and you'll find whatever common ancestor of giraffes and horses (or whatever) they both evolved from. You'll have crossed millions of years in doing so, too. As a software developer, you might investigate "genetic algorithms" or the general area of "evolutionary programming". It's quite fascinating to see things evolve in real time, and you'll have a new take on real-world evolution and how powerful it is, yet how simple, if you do. Certainly you will no longer have the least doubt about whether the same tricks, applied in the physical world, could produce the results evolutionists claim they have. Without a doubt, natural selection works and a population's collective genetics change over time in response to the environment. Typical examples are finch beak sizes and colouring of moth wings. That's straight-forward to scientifically establish. According to evolution, the diversity of life we see today is entirely attributable to such small changes occurring over vast periods of time. That's harder to experimentally prove or disprove in the time available to us humans, given the duration of human lifetimes, and research grants. It's one thing to 'tweak the parameters' of a design—neck length, muscle mass, etc, which you could imagine being fairly simple genetic modifications. If a giraffe were essentially a cow with an elongated neck, then that could be believable. 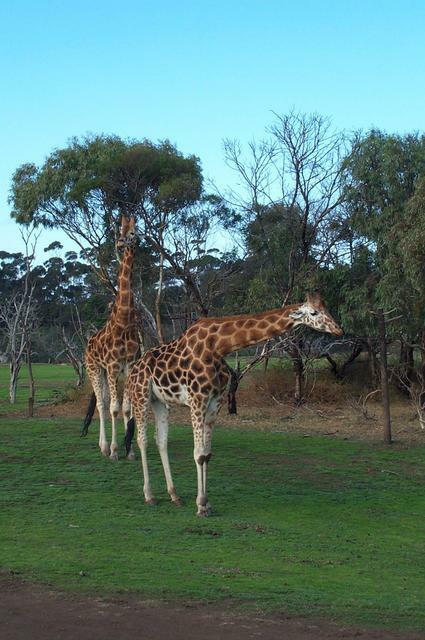 However a giraffe's long neck presents some engineering difficulties, and a giraffe has solutions built into it that make it more specialised than just a stretched out cow. To summarise: there are many examples of animals having specialised features that look like engineering solutions to engineering problems. The features are so specialised that it is seriously doubtful that they are possible by the gradual changes of evolution, and rather require an up-front design. In software, genetic algorithms are very useful in a specific context, which is to find specific well-functioning parameters of a previously designed algorithm. E.g. you want to make a digital filter, so you use a genetic algorithm to find ideal filter parameters. You want a good radio antenna, so you use a genetic algorithm to tell you how many wires to use, and where to bend them. It works well and it's amazing to see what it can come up with. But the technique is limited to solving the task at hand, as defined by the human designers. Consider the bombadier beetle. It is impossible for this insect to have "evolved". The combination of chemicals is so explosive that every attempt of "nature" to bring this six legged being about would have resulted in insect guts splattered on the windshield of the ages! !